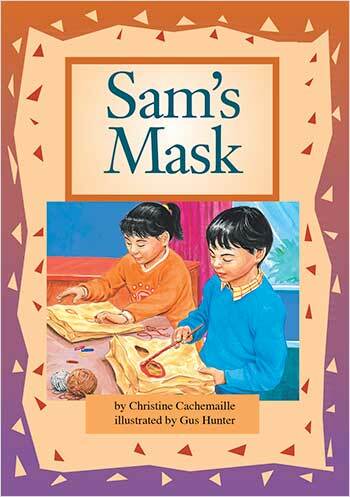 Sam makes a mask and wears it home from school. What happens when his mother opens the door? Sam makes a mask and surprises his mum. Using some paper or card, make your own mask. Who can you surprise?